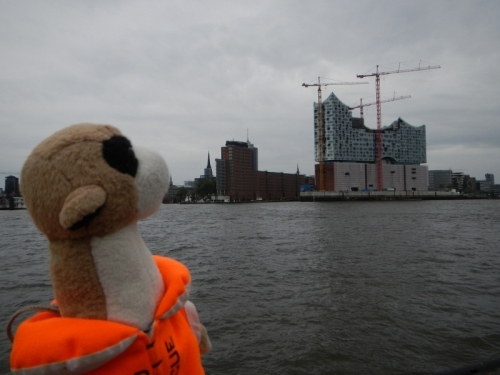 On May, 26th, Fred visited the port area in Hamburg. 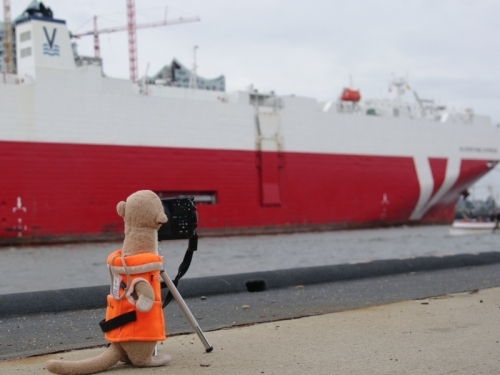 It was a rainy day but Fred enjoyed visiting his hometown after 3 years. 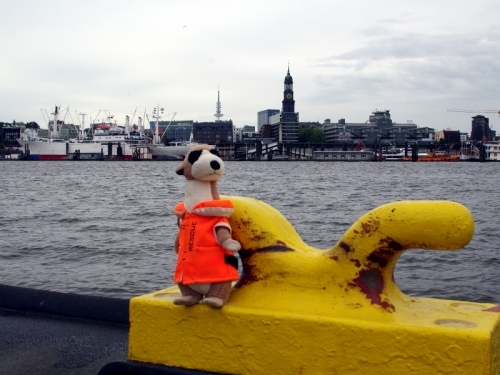 Fred watches the "Landungsbrücken" in Hamburg with the museum ship "Cap San Diego". The church in the background is the St. Michaelis Church, but in Hamburg it's just called "Michel"
This is the "Elbphilharmonie". 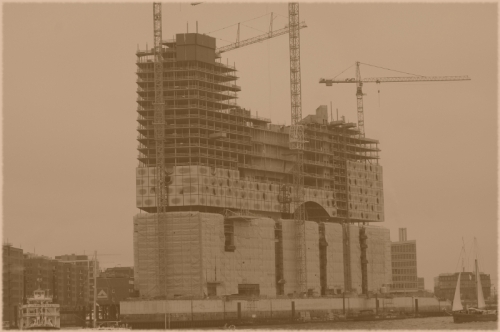 It's a concert hall still under construction (since 2007). This is how it looked exactly 3 years ago just before Fred started his voyage around the world. 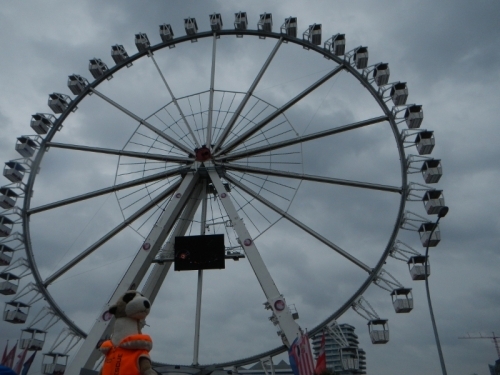 Hey, a Ferris wheel. Must be a great view from there. That's Hamburg in May: Grey, wet and cold. But it's a beautiful view across the Port of Hamburg. 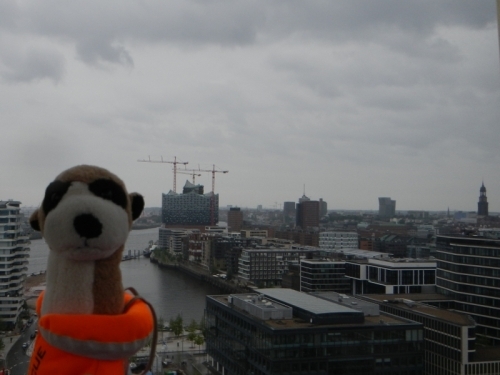 Hope we have better weather within the next days so that we can do some more sightseeing.